How Much is Mexico Car Insurance per Day? Posted September 20, 2018 by Roxanna Brock McDade & filed under Auto Insurance, Driving to Mexico. Something few people think about when planning a road trip to Mexico, especially for the first time, is the fact that they need Mexico liability insurance for their vehicle. Leaving for Mexico is a little more difficult than loading the car, gassing up and grabbing a map, but not much. Now that you know you need Mexico insurance, you must be wondering how much you will pay and how to obtain a car insurance policy. No worries, we got you covered. A little-known fact is that Mexico Federal Laws require foreign plated vehicles carry Mexican liability car insurance. This means insurance from a Mexican domiciled insurance company. Though most Mexican companies will sell a policy directly, the language will be in Spanish, as well as the terms and conditions. Coincidentally, some American companies (like Mexpro) have developed relationships with these insurers and offer quotes, policies and terms and conditions in English, making buying insurance much easier. And, you can easily call to ask questions. Mexpro has gone so far as to negotiate bilingual claims adjusters, customer service agents and some additional coverage, more like that you may be used to in the U.S. or Canada. Your U.S. or Canadian policy may cover you for collision, but generally only a certain distance from the border. And, again, they cannot legally cover you with liability insurance. What Happens if I don’t have Mexico Insurance? 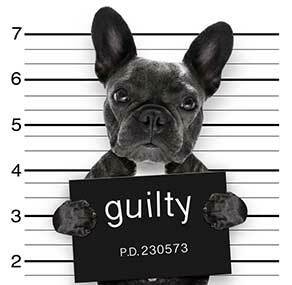 In Mexico you are ‘guilty until proven innocent’. And when involved in an at-fault accident, you can be held (with the possibility of that being in a Mexican jail), until you can prove you can pay for the accident. Find out the maximum liability limit per Mexican state on our blog. What Coverage Do I Need on My Mexico Auto Insurance Policy? As mentioned, only liability insurance is required. Mexpro recommends a liability limit of $500,000, which should cover any damage caused by an at-fault accident, as well as each state’s maximum liability limit. This option is available on our liability policies and standard on our full coverage policies. And, provide the option to have a vehicle repaired in the U.S.
How Hard is it to Get a Quote? You can get an online quote in two minutes or less, or you can call to get a quote with the assistance of a bilingual, licensed agent. Mexpro offers policies from several top A-rated companies so our customers can find a policy that matches their needs and price point. That’s it! Then you pay and print your policy. So…How Much is Mexico Car Insurance per Day? Back to the original question, now that we’ve given you some background information on Mexican car insurance. As in the U.S. and Canada, the price varies according to your coverage choices and vehicle information. Since we can’t give you a set price per day, we’ll offer some examples to give you an idea of what you might pay. When choosing your policy, you will want to think about how many days per year you will be in Mexico. Purchasing a six-month or annual policy could cost you much less in the long run, depending on the length of time or how many days per year you will spend in Mexico. Expect prices for drivers under the age of 21 or over 80 will be higher. How Do I Choose a Mexico Insurer? 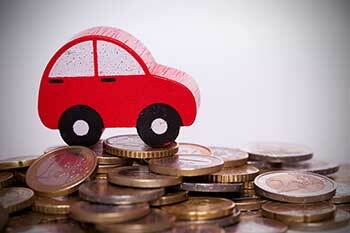 The most important thing to look for when choosing a Mexican auto insurance company is a solid financial ranking. A.M. Best and Standard & Poors rate institutions on financial solvency and other factors. Mexpro only offers insurance through companies that are A rated or better from A.M. Best. Mexico insurance costs between $2 and $40 a day depending on your vehicle, the coverage you choose, and the length of your policy. The next time you plan on driving in Mexico, don’t forget your bathing suit, but also remember to get Mexico insurance. Protect yourself, your vehicle and your friends and family with a solid insurance policy for the best trip. Get a quote now from Mexpro in two minutes or less from up to three A-rated Mexico insurers. You can buy Mexican insurance online or call us at 888-467-4639. We also offer mobile quotes in case you are on the road when you remember to get insurance. Happy and safe travels! How much is liability insurance on a rental car. 2018 compact from feb. 19 -mar11. I have collision. You will need to get a quote (it takes 2 minutes or less) on our website, as they depend on the year, make, model and value of the vehicle, as well as the coverage you choose. Click here to get a quote. Our cost for Mexican Liability only insurance seemed exorbitant when we rented from Avis last month. We are coming back next November and will need a rental car again out of Cabo. We would probably insure a late model 4 door midsize for coverage. Can we get the insurance through you that will satisfy the Rental Companies? Can you give us an idea of the cost?